Pick Le VPN’s renowned service to hide your where am I IP. The digital currency Bitcoin is widely in use. Many people may feel that this is a safe way of doing transactions. However, the Bitcoin hacks are not a new issue. There were certain similar instances in the past as well. To stay secure while doing anything online, do not share your where am I IP. And you can do so by using a reliable VPN provider, Le VPN. 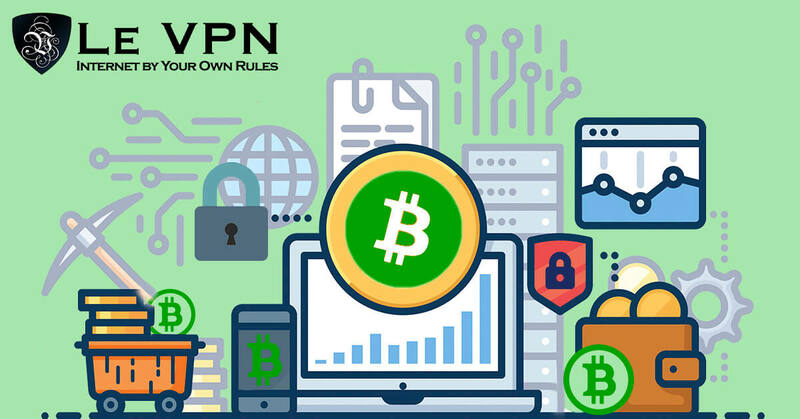 If you are making any payments using Bitcoin, then it is equally important for you to use a secure network. It is well known that Bitcoin transactions are safe, as they do not contain any personal data like your name or address. It just needs the details about the method to verify the payment and the exact amount. But sometimes things just go out of hand, as you have to connect to the Internet to make any Bitcoin transactions. And it is not very tough for the online criminals to break the online information. Hackers and eavesdroppers are always looking out for such opportunities. After all, it’s all about money. Recently, a Solvenia based cryptocurrency marketplace NiceHash lost 4,700 Bitcoin worth about 75 million. The attack was on NiceHash’s payment system. According to NiceHash, the attack was from a non-European IP. It is also said that the attack was done by using the credentials of an engineer of the NiceHash. This shows how necessary it is to hide where am I IP. Such crypto currency hacks remind us to take proper precautions if we deal with the online transactions. On a precautionary basis, NiceHash suggests its customers change their passwords. There have been many such digital currency heists in the past few years. It is therefore important to add more layers of protection when you use the internet and to hide where am I IP from the hackers. Not just bitcoin hacks, there have also been some Tinder scams due to the hacking of personal information. Le VPN allows you to safely browse in the online world. That too without revealing your where am I IP. When you subscribe to Le VPN, you get an encrypted connection, and no one can identify what you are doing online. You can stay anonymous by using Le VPN’s different IP addresses. All you have to do is subscribe to Le VPN and download the software. Your personal information will be completely secure. Le VPN’s VPN apps for Smartphones allow you to stay safe while on the go. Your data and connection are secure even if you use the internet Wi-Fi in public places like hotels, shopping malls, or cafeterias. Le VPN is one reliable method to secure your sensitive data. The top VPN provider has servers in 114 countries. It ensures online security through a very high level of encryption and security methods. Le VPN’s encrypted network prevents data leakage and theft. Additionally, if you use VPN router, all Internet-enabled devices in your home are secure. It is very easy to install and use Le VPN. And if VPN cost is your concern, then you must note that Le VPN has affordable packages. Now, you can even benefit from the Christmas and New Year discount. Get a 2-year of Le VPN service for only $ 69.90.